Blizzard has officially released World Of Warcraft: Battle For Azeroth, although some players are having a hard time logging in to the new expansion. It's most likely just a sever issue as masses of fans try and dive in to the new content. Blizzard has confirmed one of the issues on Twitter, stating "We're currently investigating an issue affecting our authentication servers, which may result in failed or slow login attempts". It's unclear at this stage how fast a fix will be distributed but Blizzard will no doubt be putting all of their effort in to stabilizing the problem as fast as possible. 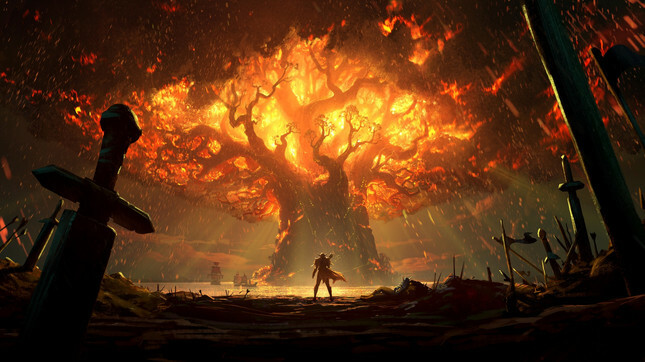 World of Warcraft is now more approachable than ever before with the removal of the upfront cost of buying the base game and its previous expansions, making the entire game, barring the latest expansion, free to those with an active subscription. We recently sat down with Battle For Azeroth's senior software engineer Darren P. Williams, and lead character artist Dusty Nolting to talk about the next chapter in World Of Warcraft. You can read the full interview here. Order Battle for Azeroth now at Mighty Ape.